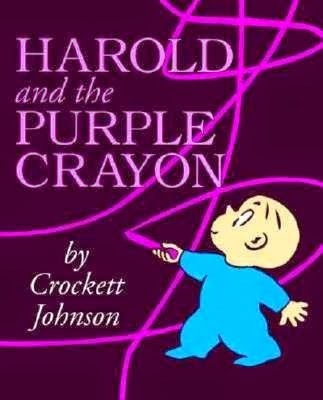 Harold and the Purple Crayon would have to be my all-time favourite bedtime story. Fifty-two years after it was first released, it still holds all the magic imagination can bring and the promise of rich and interesting dreams to follow. Harold decides to go for a walk. He takes his purple crayon with him and as he thinks of adventures he draws them. His wanderings take him across fields, nearly into the clutches of a frightening dragon, over the sea and into a city full of buildings. Harold gets tired from all his wanderings, but simply can’t remember how to get back home. The finale is as heart-warming as the first page. I could read this book over and over, just for the fun of it, but it is always better shared. Reprinted in 2012 as a paperback and a board book, Harold and the Purple Crayon is at the top of my list of bedtime picture book fun.